Putting your house up for sale is something you’ll have to do maybe just a few times in your life. And unless you know a local Charleston real estate agent who will sell your house for free or a hugely discounted commission… it can be a real pain and an expensive process as well. Your typical commission is going to be 6%… maybe 5.5% if you can strike a deal. You have equity but want to try to save money selling the house yourself before you resort to hiring an agent. Why not try and save 10-20K? You can’t wait the months and months it sometimes takes to sell a house in the Charleston area in this market so you want to try to sell it more quickly. 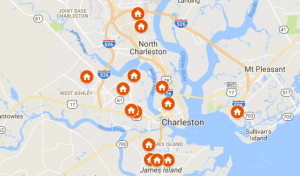 A house that needs some updates in the Charleston market is going to take between 4-6 months looking at our days on market average – depending on where you are located. Some areas will take longer than others. If you don’t want to hassle with trying to come up with a home value yourself… give us a call at 843-800-2741 and we’ll give you an honest fair valuation of what your house is worth on the retail market (if you’re going to wait the 3-6+ months to find the perfect retail buyer). And if you want to… we’ll make you a fair all-cash offer on your house to give you that option of selling quickly (we can close in as little as 7 days if you want to). Charleston buyers are obsessed with media and pretty pictures. Taking walk-through videos of the house and using the them to advertise will enable you to reach a wider market. In fact, these videos are considered more transparent than taking photos. However, this should not stop you from using the latter option since it is more affordable compared to the video. So take some great pictures. This is where spending a little money can go a long way. You can hire a photographer that will charge you between $150-200. Take a picture of every room in the house that helps show it off. Take a picture of the house from the outside in a few different angles… people want to see the house before they ever show up to see it. If you really want to stand out, take a few at night with the house lit up. So having great pictures of your house online could be the difference between getting the right buyer quickly… and waiting months and months to sell. You can find no or low fee real estate brokers these days who will charge you a few hundred bucks to put your house on the local Charleston MLS. This gets your house in front of all of the real estate agents quickly (so be prepared to pay those “buyers” agents a 2.5-3% buyers broker fee if you plan to have their support in helping you find a buyer. … here at D Gilpin Properties we actually buy local Charleston SC houses. 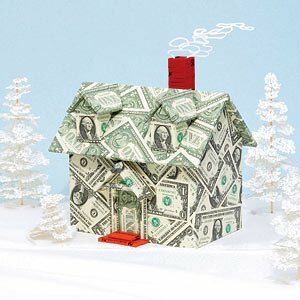 If you want to see what we can pay for your house, give us a call today at 843-800-2741 or just fill out the quick simple form through the link below.